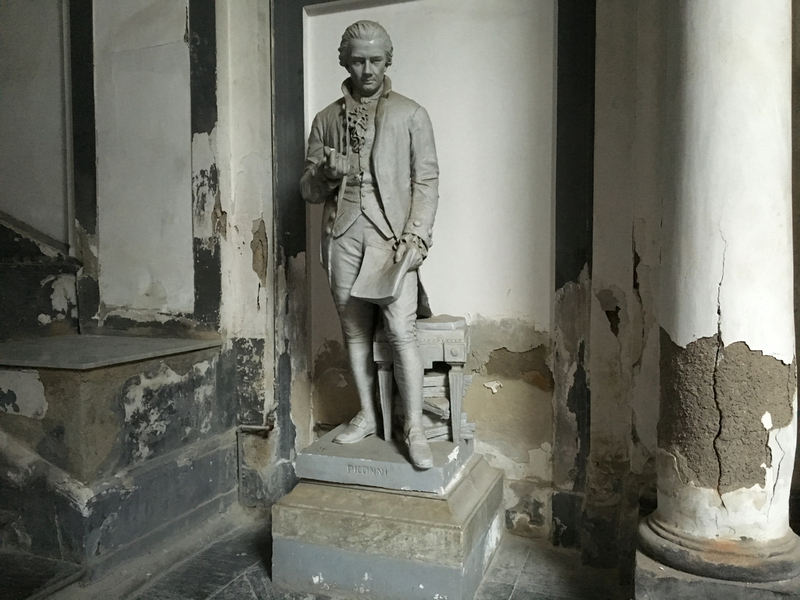 I meet Michael first in the English church, Christ Church, in Naples, Italy. In fact I don’t meet him so much as see him turning music for the organist. Gradually we get to know each other a little better but only in the way that English people do – we are introduced. Things progress – I wrap fish and chips alongside him, sell cakes next to him, and deliver him second-hand books to sell … but nothing is said. I know there are few who can match the cakes and pastry he bakes but beyond that all I hear is the occasional rumour about shows in drag, and clips on YouTube. It might have ended there if it hadn’t been for an invitation to his apartment for supper just before we leave Naples. 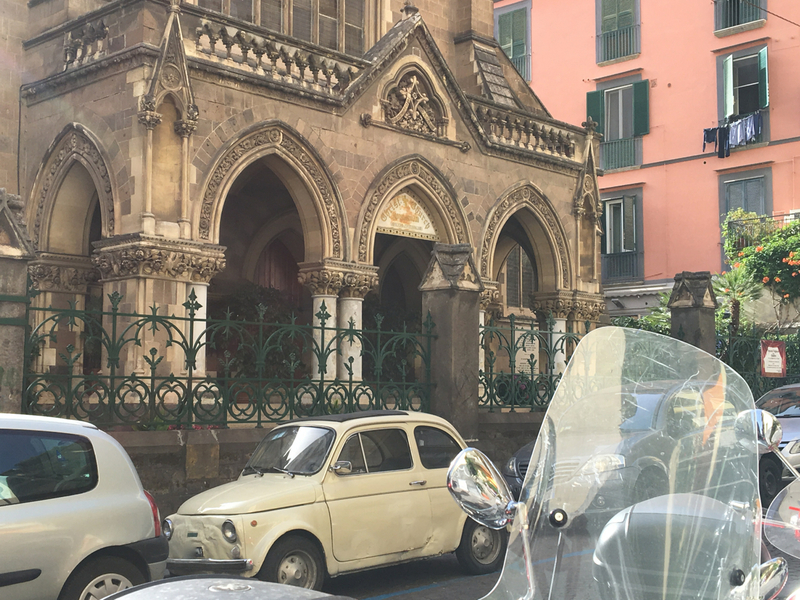 To find Michael we have to navigate Corso Vittorio Emanuele, a sinuous road that curves along the ridges behind the Bay of Naples. 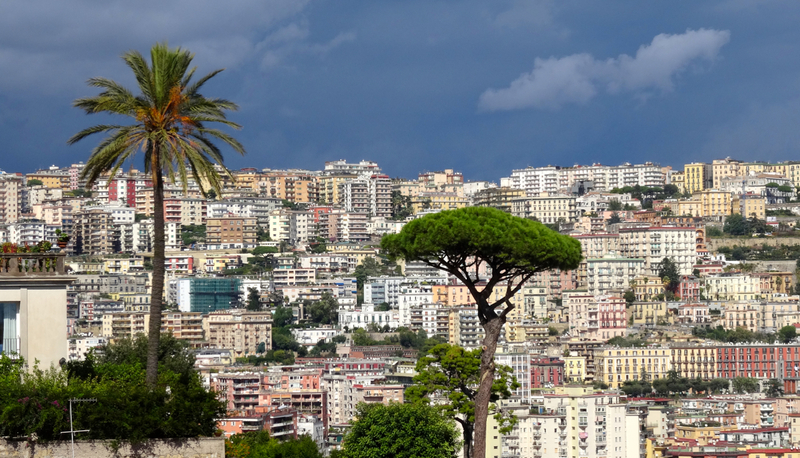 It is crowded – businesses, cafes, schools, workshops, traffic, and old palazzos squeeze along its length. In amongst them is the heavy-doored, dark red palazzo where Michael lives. Like many of the grand, or formerly grand, buildings in Naples, it doesn’t look much from the outside but inside it’s huge – not quite Bourbon palace but clearly it’s had ambitions. We wait with the portiera until il professore (as she calls Michael) comes to collect us, both of them convinced, possibly correctly, that otherwise the stranieri (foreigners) will be lost forever in the sprawling complex. We follow Michael through the flow of open spaces and wide corridors to his apartment at a distant end on a second floor. The sound of a young woman’s determined voice sings up from somewhere. The bookcases come to meet us as we step through the front door. They are stacked up to the high ceilings, crammed with music, and they march through every room. 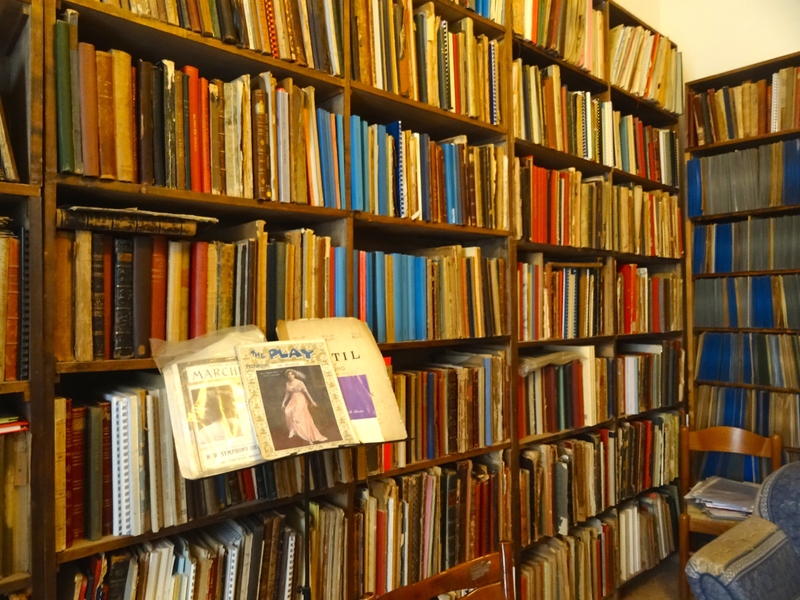 In the ‘music room’ itself their wide shelves strain under musical scores and packed vinyl and shellac, their pattern broken only by a tidy record player, and a piano which boasts Dame Joan Sutherland photographs and cards. Michael settles us with glasses of wine and disappears to deal with the plumber from the flat below who’s come to fix his shower. Within minutes he’s back to flick kindly through our musical knowledge. It doesn’t take him long but he shows no sign of despair. He never does – we are together to enjoy ourselves, and we do. 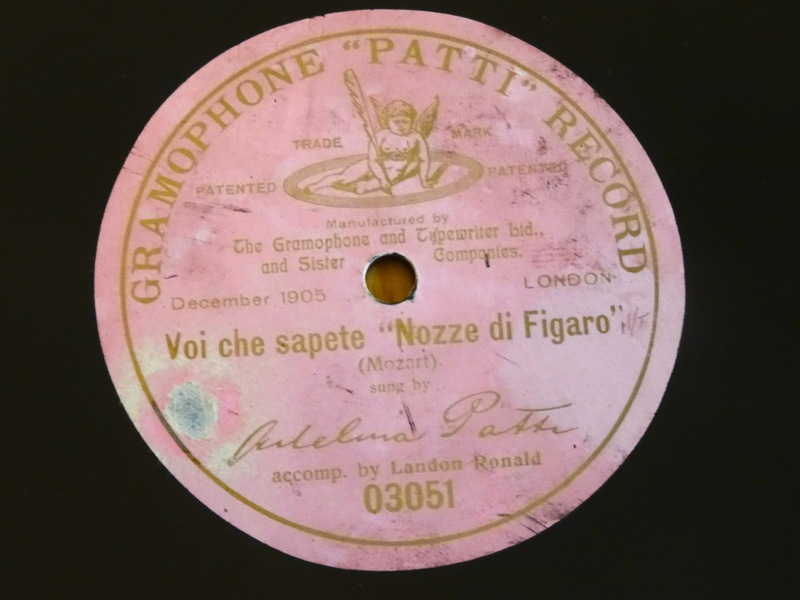 Old 78s are selected, the gramophone needle adjusted, and the room fills with clear voices, some reaching out from over a century before. For us they are unknown sound ghosts, with a hint of static, but for Michael they are old friends whose every cadence he knows intimately. The evening is a tactful wonder with beams of sound that penetrate our deep ignorance. On the walls around us a particular diva flounces in photographs and posters. She (and we do at least know this) is Michael dressed up to parody some the great soprano roles in opera. My second visit to Michael’s apartment, days before we leave, is to interview him. We sit at a table with cups of tea and an apple pie that is as light as a musical note. Michael tells me that it was friends in 1969 in Rome who persuaded him to abandon his baritone (which he says is average) and go soprano after they saw his first parody performance. Michael’s diva did well, so well that even the New York Times and the musicologist Philip Gosset were impressed. It began, Michael says, in Manchester with an aunt who took him as a little boy to the theatre. He loved it, plus he had fun on the school stage, so it seemed obvious from early on – he would be an opera singer. This dream was kept safe until he reached Manchester Grammar School which almost flattened his hopes when it announced that Michael could not have a place in the school choir as he had no voice. A full stop perhaps … but not for Michael. He replaced the choir with records of famous singers, and decided to swop Manchester for Rome, home of opera greats. To get there he studied Italian language and literature, earned a degree in both, and left Manchester with his significant collection of old voices. 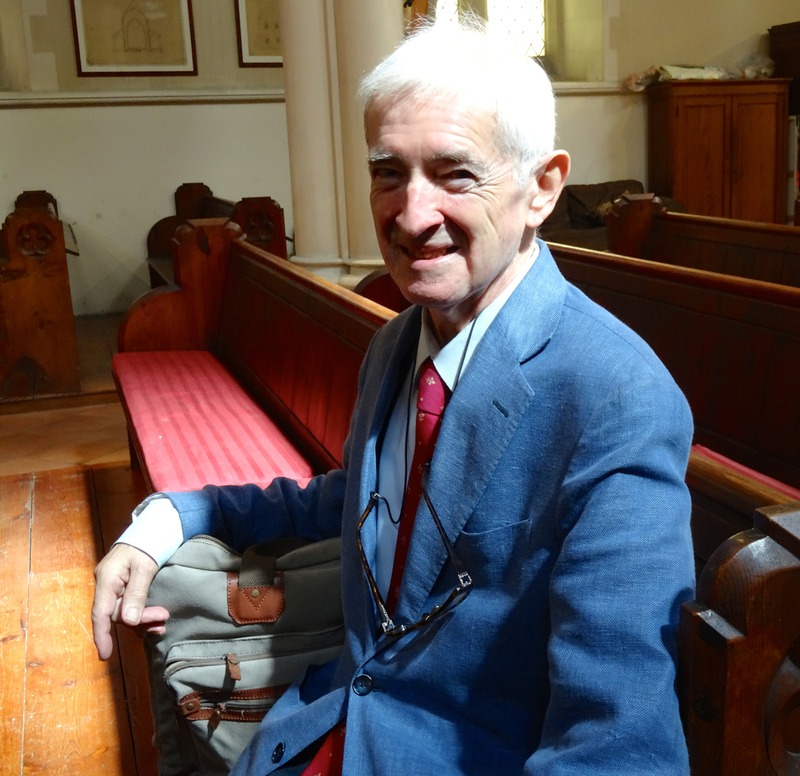 His first stop was London where he got a job, and took singing lessons with Anthony Benskin before finally, in 1966, heading on to Italy for six months of extra tuition. He’s been there ever since. He did start in Rome where he studied bel canto with the Sicilian maestro, Vincenzo D’Alessandro who was 92 years old at the time. Michael was just 27. Their focus was on the old Italian singing method, bel canto, recognised for its control and the protection it gives to the voice. It’s a method that’s become the foundation for much of Michael’s work, whether he’s performing, teaching, commentating or reviewing. If you are in any doubt about his expertise all you have to do is to walk into his apartment to realise that there can be few people in the world with a more extensive private library or collection of music to boost their practical experience. I interview Michael in amongst his huge collection in Naples but he hardly mentions it. How can he? How can he begin to explain, or expect me to measure, the vast knowledge that he and the shelves hold? Together they are a lifetime’s work, evidence of just how far ‘l’amore della musica’ and ‘grinta’ (determination) can take you. We finish our tea and make our way back through the sprawl of the palazzo to catch a lift to the hospital where Michael is due to visit a friend. 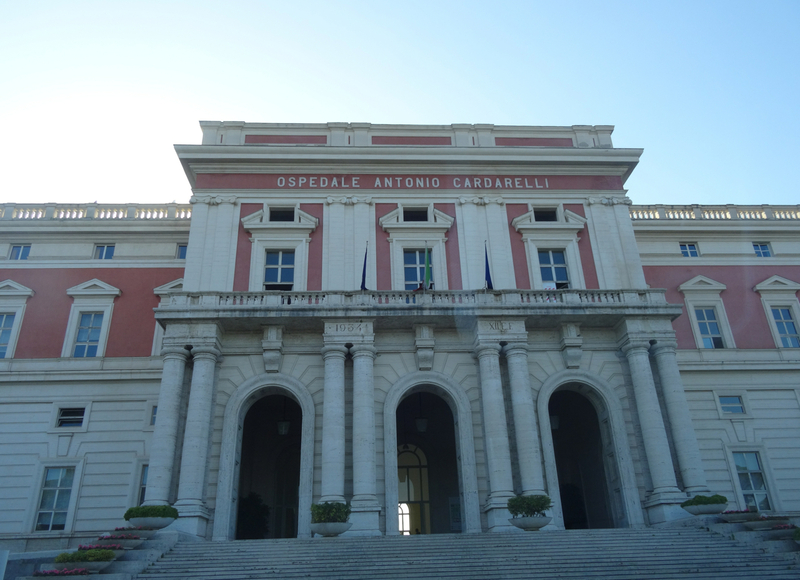 I wonder, as we watch him disappear up the steps of the Ospedale Antonio Cardarelli, whether many in there would know that a king was in the crowd? My thanks to Michael Aspinall for the interview, and to Patricia Greenan, of Greenan Artists for her time and help. The following are links relevant to this piece. 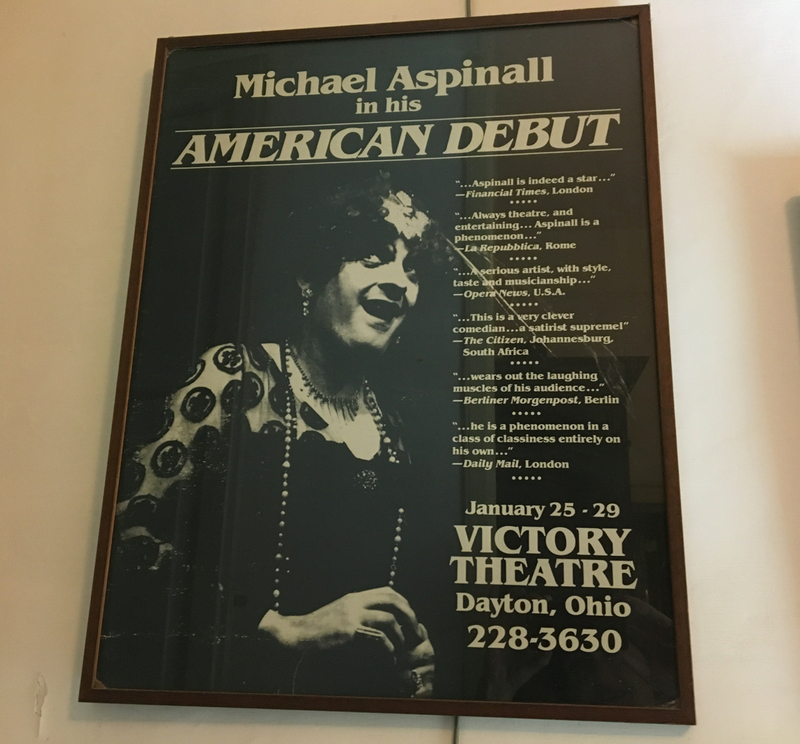 The New York Times review of one of Michael Aspinall’s performances in the USA. Below Michael Aspinall covers four parts in Schubert’s “The Erl King”. It is German lieder, the most serious form of all vocal music. The notes beneath the frame set the scene. In 2011 Michael worked with the Neapolitan mezzo-soprano Serena Malfi, on her selection of music for a concert in London. This is from that concert. The following two clips discuss and demonstrate bel canto. Michael is not in these clips but Luciano Pavarotti and Joan Sutherland are. This entry was posted in Interviews, Italy, Music and tagged bel canto, Dame Joan Sutherland, interview, Italy, Manchester Grammar School, Micahel Aspinall, Naples, opera, singing teacher. Bookmark the permalink. This seems to be a style that LP discarded. He then used a full connection with his body, for example Andrea Chenier’s great aria. We also heard a different singer in Manon Lescaut, a great full voice. Apologies for my delay in responding but we were caught up in the change of year. Thank you for your comment and your insight – so interesting. All the best for 2018!